Welcome to NATIONAL PARKS WORLDWIDE with the national parks, nature reserves and other protected areas of all countries of the world. 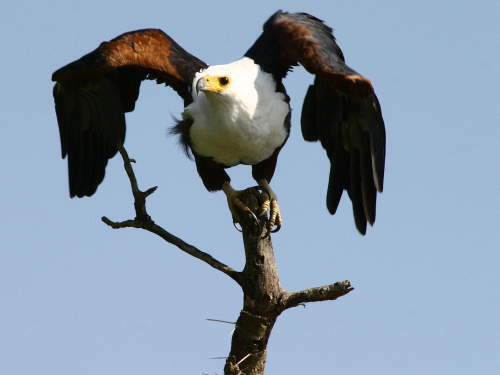 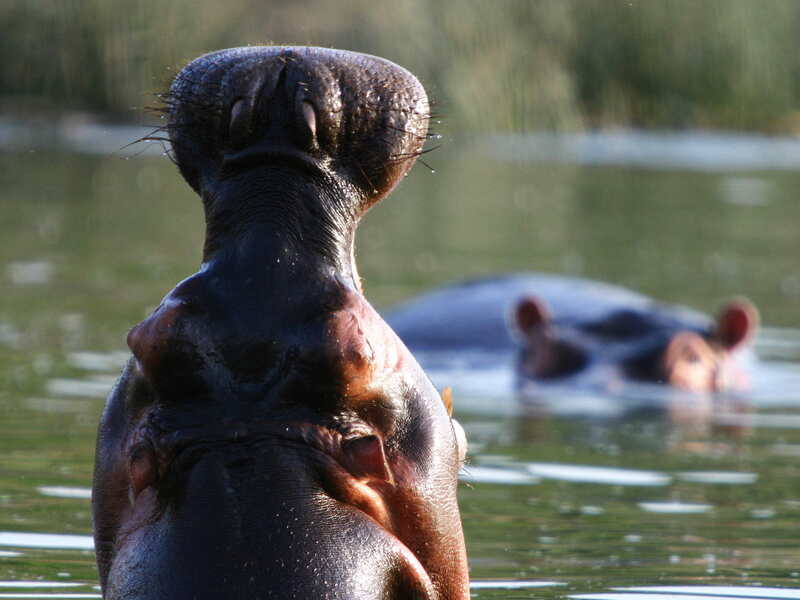 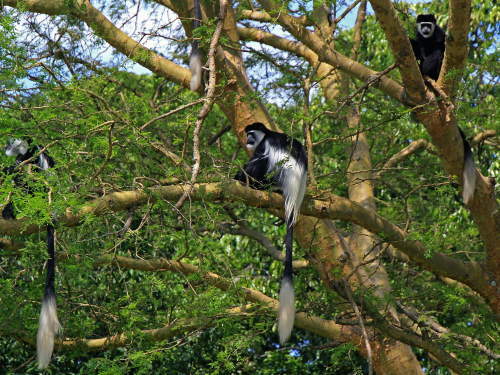 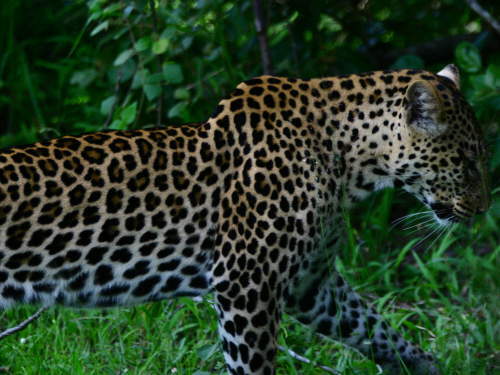 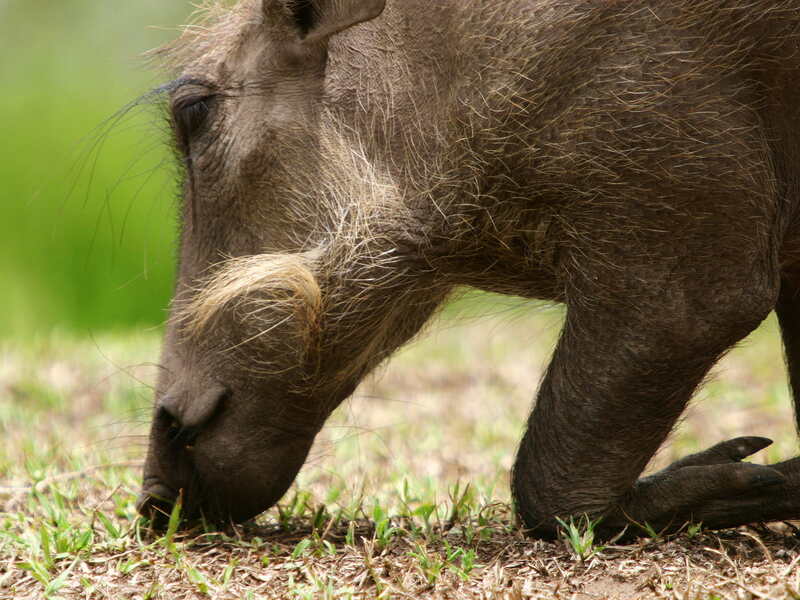 On this page you also find the complete list of Uganda's national parks and other protected areas, the six best of which you can actually on our Uganda National Parks Tour. Since Kenya has been suffering form unrest, Uganda has become an increasingly interesting alternative for safaris. 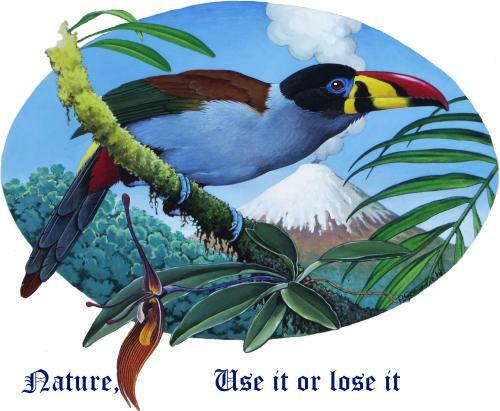 National parks are the prime locations of wild and untamed nature; in many countries they are the most exiting places to visit, if you can find them. 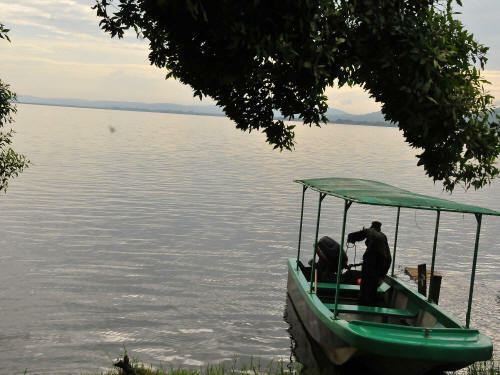 However, most local tour operators find it convenient to take you to locations away from the national parks. 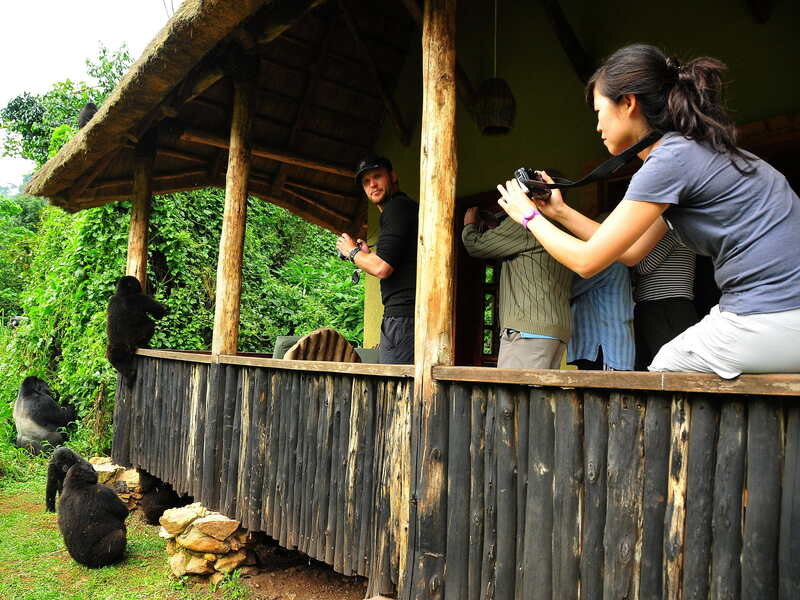 Our National Parks of Uganda Tour however, takes you on an epic journey along a representative selection of parks that show you ALL major eco-regions of the country as well as on expeditions to see the both great apes of East Africa, the Mountain Gorillas and the Chimpanzees. Be aware, that while we take you on a fantastic safari, there are ecosystems, where we can't take you because of the difficulty of the terrain and the lack of access roads, particularly the high elevations of Rwenzori Mountains National Park. 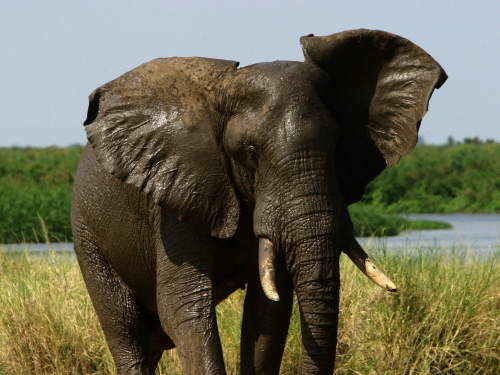 In spite of its many years of unrest in the past, Uganda once again enjoys very healthy wildlife stocks and the best Uganda national parks in Africa are among the best in all of East Africa. 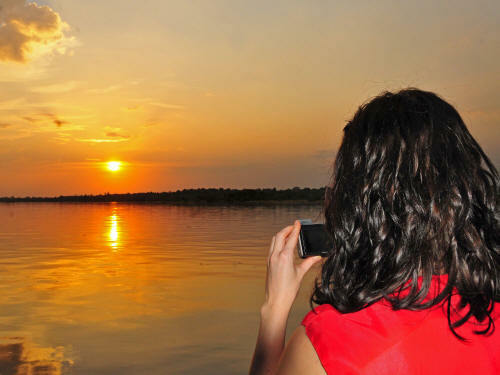 It is beyond any doubt Uganda's greatest tourism asset. Although both species of Rhino had been eradicated in the mid 80s, the White Rhinoceros has recently been re-introduced in Ziwa Rhino Sanctuary, and once again, one can enjoy Africa's big five: Elephant, Cape Buffalo, Rhinoceros, Lion and Panther. 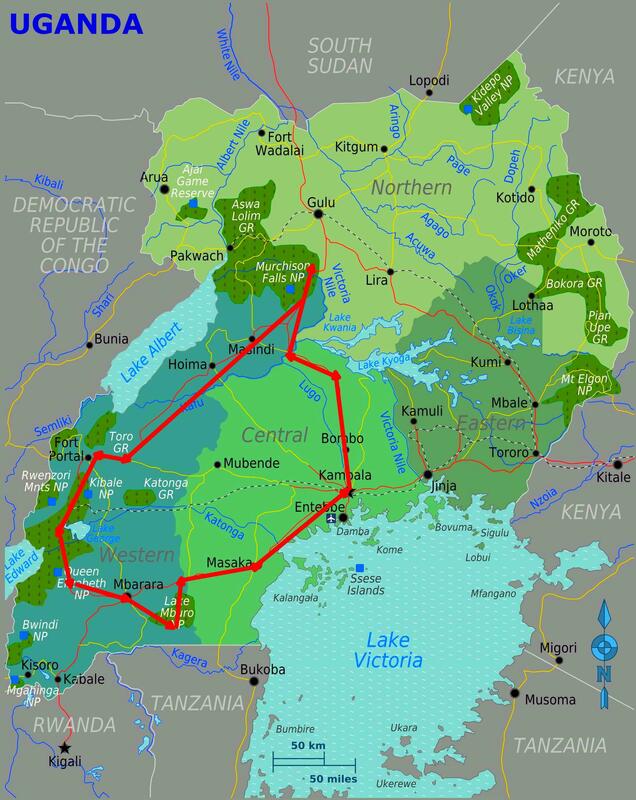 Located in the Rift Valley, Uganda has lots of volcanism, including crater lakes. 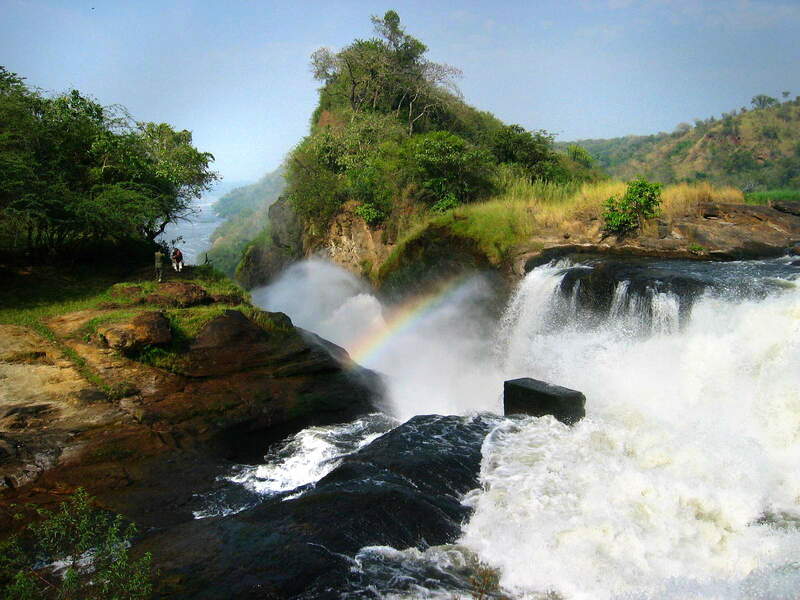 Murchison Falls thundering through an 8m wide gorge. Fantastic lakes can be found in the Rift Valley. 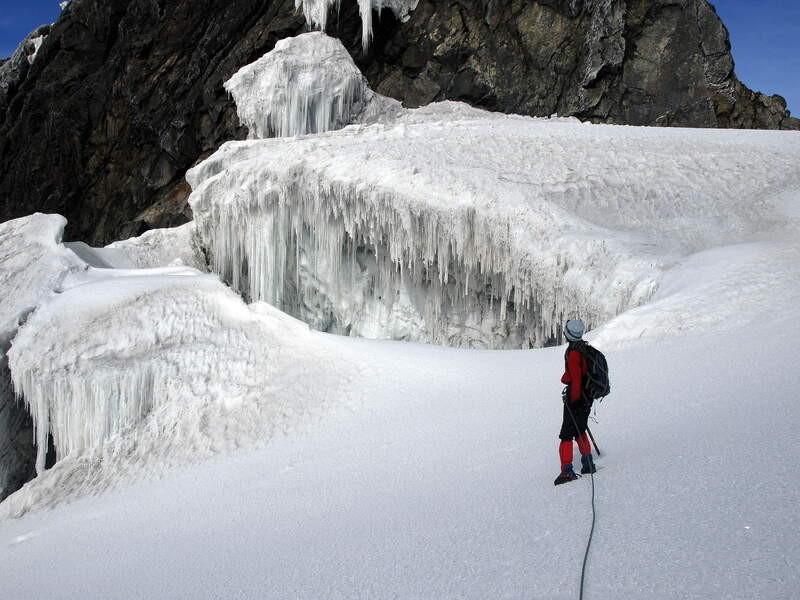 The Rwenzori Mountains are Africa's only snow-capped Mountain Chain. 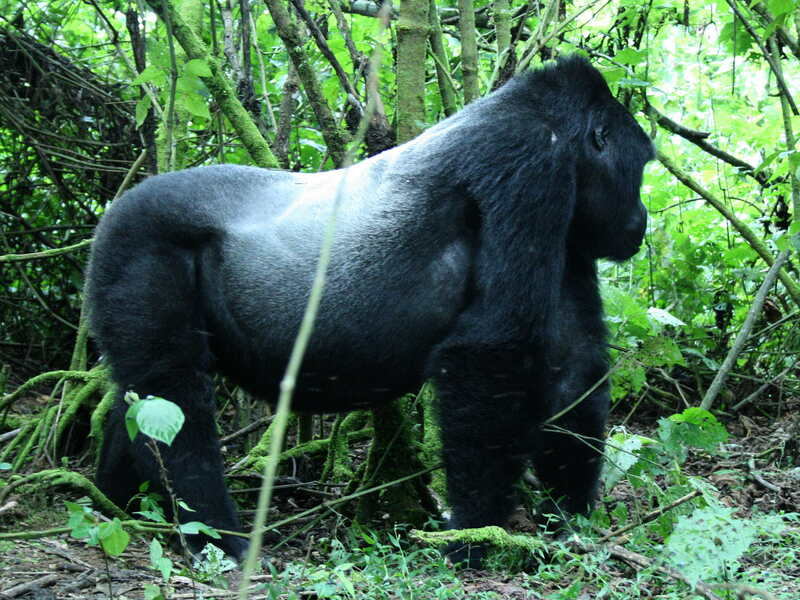 Best Uganda national parks in Africa: Mountain Gorillas in the camp. 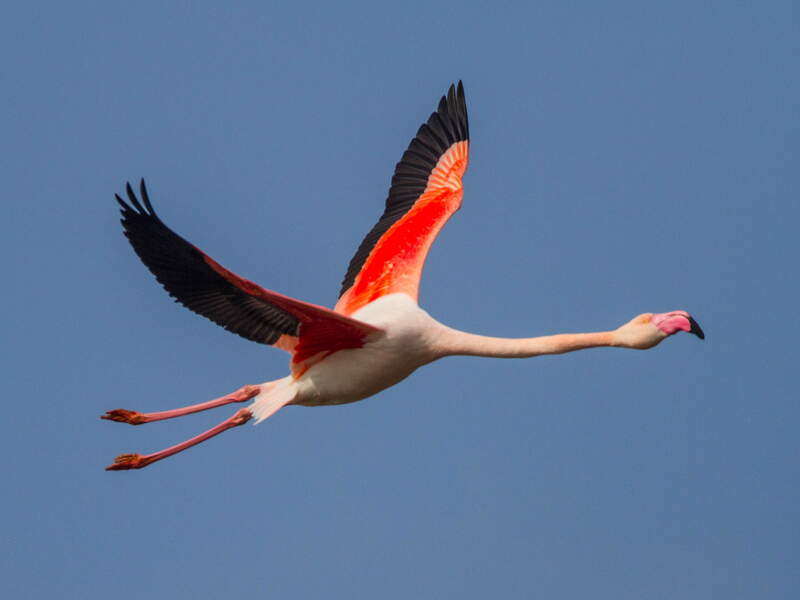 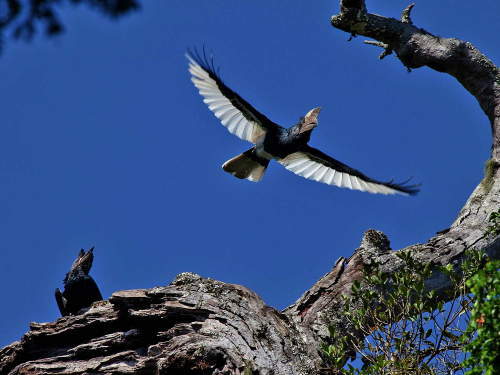 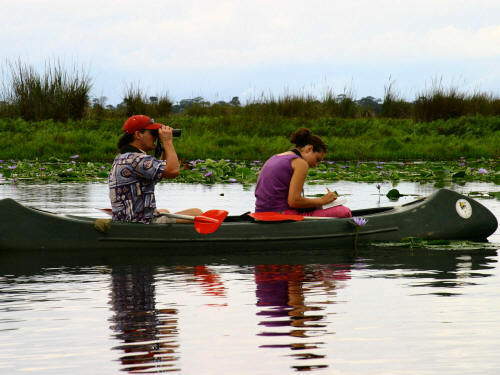 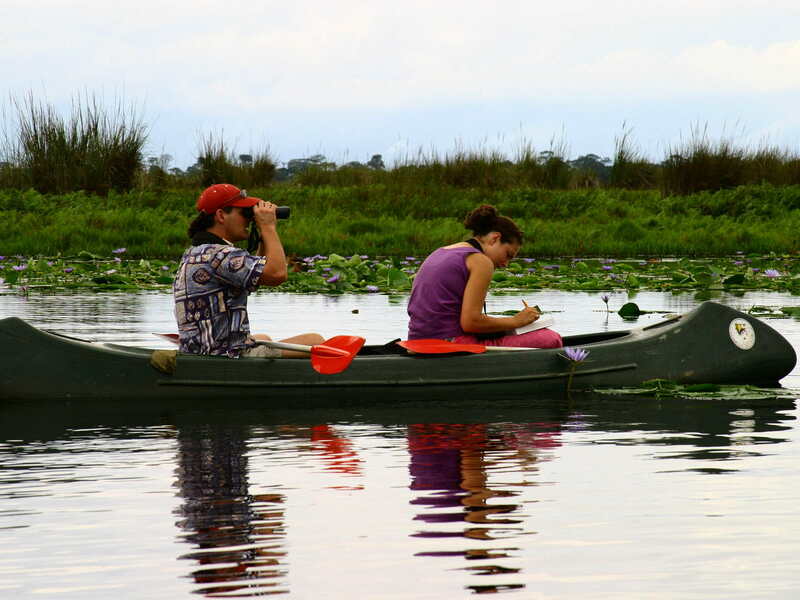 Special birding trips through marshes and swamps. 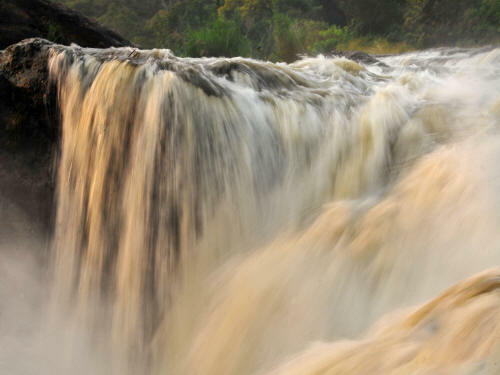 Murchison Falls as the water squeezes through an 8m gap. 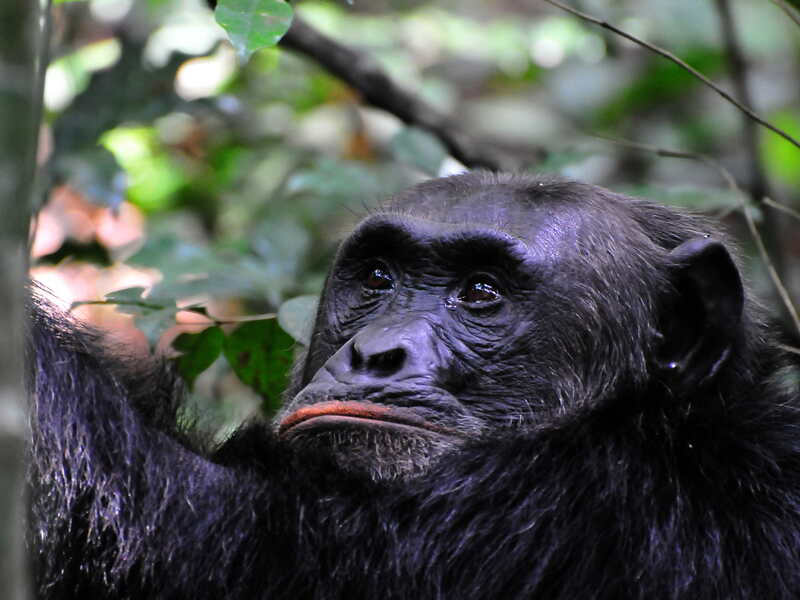 Chimpanzee reflecting about the importance of visitors in the park for his well-being. Murchison and Uhuru Falls. 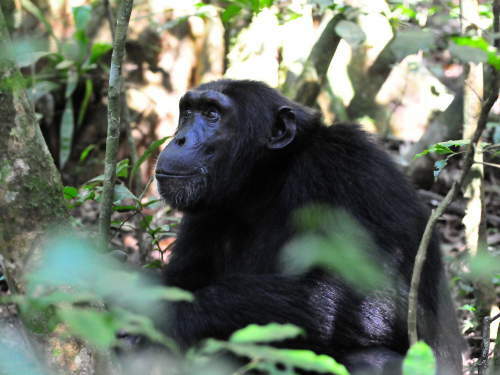 Chimpanzee investigating a group of visitors on a Chimpanzee trekking in Kibale National Park. Panther in the forest of Kibale National Park.